How can I hidden the second adress in the adress form? Hoo that`s great! Thank so so much Sammy. My I ask you another question, please? I had already made the autoresponder to my forms but now a need a notifier to my email. Is it possible to activate the notifier at the same time of the autoresponder? 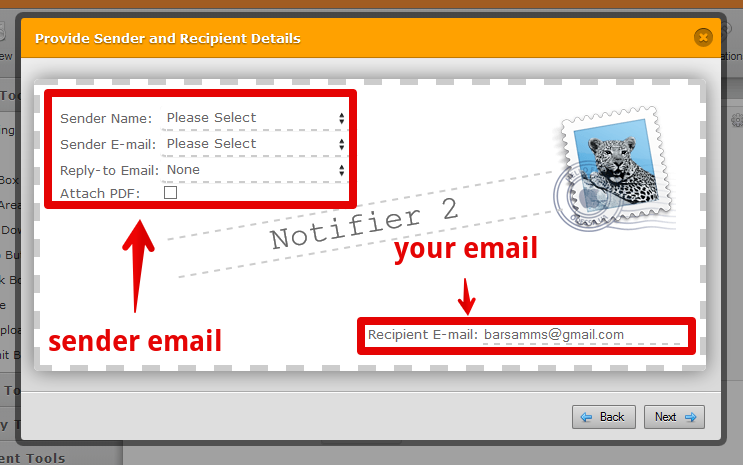 You can add both the notifier and the autoresponder and have them active at the same time. The autoresponder sends the data to the person who fills the from and the notifier notifies you with the filled data from your form. Remember to specify the sender email address and the destination email address to ensure delivery.